Growing up in a musical family, Leanne sang from childhood on, performed pop/rock, blues and country influenced music, sang with community choirs and music theatre in high school. Leanne went on to train extensively in classical voice earning a Bachelor of Music and a Master of Music at UBC. Following university, she studied at OPERA NUOVA, (Edmonton, AB) and at Orford Music Academy (Quebec) with various wonderful teachers. Leanne also completed foundational performance training with David McMurray-Smith, here in Vancouver, completing the Core-Conditioning Course (100hrs of physical-based acting training). In 2009, Leanne became certified in Somatic Voicework-the LoVetri Method (Level III), at Shenandoah University (Virginia). In July 2010, she returned to the Contemporary Commercial Music Institute at Shenandoah University to complete several post-Certificate courses: ‘Working with Injured Voices’ with Wendy LeBorgne, Voice and Body Workshop with Joan Melton, Seminars with Jeannette LoVetri, Gospel Singing, and Bodywork for Singers’. She also regularly attends local conferences and workshops. Recently, NATS Western Conference on Adolescent/Changing Voices (July 2013) and Shelagh Davies (R-SLP) Sound Advice (Performer’s Vocal Health) Workshop in June 2011. As an opera performer, some of Leanne’s solo roles include Mozarts’ La Finta Giardiniera (SANDRINA and SERPETTA), Gianni Schicchi (LAURETTA), The Magic Flute (PAPAGENA, 1st Boy, 2nd Boy), Hansel and Gretel (SANDMAN), and others. She has sung with local professional companies, including Opera Appassionata, Opera Breve, and Vancouver Opera Chorus. She has also performed in numerous concerts and recitals. Professional Singer/Songwriter, Recording Artist and Musician. Born to UBC-educated music teachers, Mark Luongo’s life was destined to be one immersed in music. To date Mark has co-written and released 4 records of original music with a total of 6 singles that have received regional to national radio play. His most recent project, PRTY H3RO, was signed by Sony Music Canada and has released 2 Top 40 hits to date. He began piano lessons at the tender age of 4 and continued through the completion of his Toronto Conservatory ARCT degree at 16. All the while he learned ukulele from his father Peter, Director of the world renowned Langley Ukulele Ensemble, and eventually joined the ensemble as its bassist at age 12. Mark also honed his bass playing skills in high school jazz band and thanks to an appearance at the Kiwanis Festival, was awarded a bursary by the Berklee College of Music. He began teaching private and group ukulele lessons for the Langley Ukulele Association in September 2003 and added community guitar, bass and piano classes over the course of that school year. He learned the ins and outs of digital recording at the Nimbus School of Recording Arts. Armed with this knowledge he founded SoundEscape Studios, through which he met the members of his future bands Daniel Wesley, Goodbye Beatdown and PRTY H3RO. Mark currently lives in Vancouver and teaches for the City of Burnaby, the Burnaby School District and the Sarah McLachlan School of Music. Omar Khan is a veritable artist. Signed to The Hastings Set (headed by Grammy & Juno award winning artist/producer, Chin Injeti) as a recording artist, he brings a wealth of experience and knowledge from being a part of the music industry. Having shared the stage with the likes of Digable Planets, De La Soul, Prince, Maceo Parker to name a few, he brings his experience as not only a recording artist, but as a performer. Having studied with world renowned Spencer Welch of Speech Level Singing for 4+ years. Omar’s method of teaching is a unique blend of his experience as a SLS student and from his own experience and background. Giving confidence to those aspiring singers, to hitting the main stage, using their vocal talents. Omar focuses on expanding vocal range, maintaining good vocal health, developing a stronger tone and most of all instilling confidence and insider tips on what is considered to be a long journey on hope road – the music business. Omar’s warm and open personality makes it easy for anyone, from any background, at any age to be able to take part in his classes and benefit from a great experience. 2010 was a good year for David as he found himself performing two official Winter Olympic performances, opening for Juno nominee K’Naan, being a finalist for the Shore 104.3 Sounds Of Summer Song Competition and showcasing at the Western Canadian Music Awards, Break Out West Festival in Kelowna. He has been busy the past couple of years as he has shared the stage with Dan Mangan, John Mann (Spirit Of The West), Daniel Wesley, Kate Miller-Heidke (Sony Australia), Stef Lang, Royal Wood, Juno nominee Twilight Hotel, Andrew Allen (Columbia) and Hannah Georgas who also guested on his album ‘Things Left Unsaid’. ‘Hurts So Hard’ and ‘This Is The Soundtrack’ received radio play across Canada in 2009 and 2010 and from that interest, music videos were soon released for both songs with ‘Hurts So Hard’ being featured at the Chicago Movies and Music Festival 2010 and ‘This Is The Soundtrack’ at the Vancouver French Film Festival. Born and raised in Vancouver, he grew up with many different musical influences and though he was classically trained in piano from a young age he didn’t start playing guitar until after highschool. First starting out in a rock band, he soon opted to go out on his own, releasing his solo EP “Songs of Love and Introspection” in 2006, which won several song writing awards, including three honourable mentions from Billboard’s World Song writing Competition and an inclusion of his song ‘Let You Go’ in a showcase compilation album out of LA. He has toured widely across North America in support of his first full length album ‘Hard To Control’ and his latest, produced by Winston (Hannah Georgas, Hey Ocean) ‘Things Left Unsaid’ playing rooms across Canada and in the US from New York to LA in venues such as the Viper Room and the House of Blues in Hollywood. In late 2008, ‘Hard to Control’ picked up the ‘Best Contemporary Album’ award and received runner up for the ‘Best Adult Contemporary Male Artist’ for the Toronto Exclusive Magazine Awards. Guest Teacher and Musical Theatre Teacher. Professional Singer, Dancer and Actor. A natural storyteller and performer, Fiona started dancing at the age of 3 and singing at the age of 13. She trained classically in both ballet and voice but fell deeply in love with Musical Theatre. During High school you could have caught Fiona performing on every stage in Vancouver. Performing is her destiny. She attended the Canadian College of Performing Arts (CCPA) in Victoria BC, and had the privilege of studying with Jacques Lemay, Janis Dunning, Christopher Weddell, Anne Bateman, Jeanette Dagger, and John Lucas, to name only a few. After College, Fiona started to work professionally as a performer. Fulfilling a long time dream, she was offered a contract with the prestigious Charlottetown Festival. From there, her career took off in a direction she hadn’t planned. She was hired as a singer onboard Cruise Ships. For three years Fiona enjoyed the fantastic experience of traveling all over the world and while performing. After visiting over 22 countries and completing her third contract with Jean Anne Ryan on board the ships, Fiona returned to Vancouver to live on solid ground. She began studying acting at Studio on the Drive. For Fiona, acting was an exciting new medium through which she could affect people. Less than a year into her studies, she got a top agent in Vancouver and started to book TV series, Films, and Commercials. Currently Fiona is studying with top performers in the city such as Gina Chiareli, Matthew Harrison, both of The Actor’s Foundry and Tom Todoroff one of L.A.’s leading acting coaches. 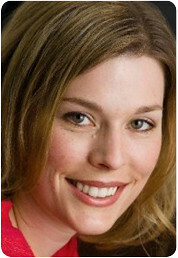 She has recently worked on several local TV shows such as Human Target, Eureka and Supernatural. This past Winter you could see and hear Fiona performing in The Arts Club’s Production of White Christmas at The Stanley Theatre. Today, what Fiona is most excited about is producing her own web series called, The True Heroines, currently in its production stage, with creative partners, Paula Giroday, Jovanna Burke and Joel Sturrock collectively, Pin Up Productions. Fiona is excited to be a guest teacher at Blue Egg Entertainment and the opportunity to work with students who are passionate about Singing, Musical Theatre and performing. Singing, to Fiona, is such an important release of emotions, a way of communication that feels sooo GOOD. In teaching, she uses Seth Riggs technique called, Speech Level Singing. It’s a great way to safely explore and develop one’s voice at any age. Speech LevelSinging technique is used by artists such as the late Michael Jackson all the way to current young stars like Kelly Clarkson. Fiona will teach you how to sing like the pop and Broadway stars of today, or simply bring out your best “in the shower” voice. Pin Up Productions on facebook. At Blue Egg, Sharon teaches Singing to all ages. As a talented musician, Sharon is also available to teach piano. Sharon received her music education at Mount Royal Conservatory of Music, a 4 year intensive program. She majored in Voice and minored in piano, guitar, music composition and production. Sharon has performed in more than 38 countries. She has been a special musical guest for Dru Hill, Destiny’s Child and Clark Sisters. She has performed live before 20,000 attendees. As a recording artist, Sharon has recorded multiple professional albums with radio play on BBC, Fox, TSN and countless other stations. Sharon has also been seen on TV performing. Sharon has over nine years of teaching experience. Her sounds are as sweet as her personality. We are delighted to have her here at Blue Egg teaching all ages and levels. Professional Singer with a Masters in Music, Vocal Pedagogy and Performance. At Blue Egg, Katy teaches Singing and Vocal Development. Celebrated for the clear silver-like quality and versatility of her voice, soprano Katy Hedalen is a graduate of the University of British Columbia (Bachelor Music Voice) and the University of Colorado (Masters Music, Vocal Pedagogy and Performance). Katy has taught Voice and Opera Workshop courses at Oklahoma State University, and was the Voice Department Head at the Merriam School of Music in Toronto. Among her performing engagements in Canada, the UK, France and the United States, she counts numerous opera, recital, and concert appearances. Currently, Katy presents Koncert Kontinuum with pianist Karen Lee-Morlang, presenting classical music in creative and exciting new ways. Blue Egg Advisor for Singing and Vocal programs. 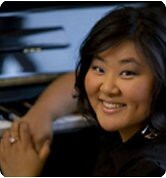 Doctor of Music, Dr. Oh is the Advisor for the Singing & Voice programs here at Blue Egg and is a Guest Teacher. A Doctor of Music, Dr. Oh specializes in breathing practices, vocal health and nutrition. 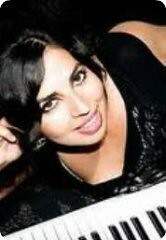 She teaches voice classes for actors and singers including Opera, Musical Theatre, Pop, Rock and R&B. Most recently having returned from singing at the South Korean Presidential House and greeted by the First Lady, Vancouver born soprano, Dr. Gina Oh was honored as one of the most influential Korean Women Of The World of 2008. Representing Canada, she stands out as a cultural ambassador through music and song. Gina now sits on the board for the Pacific Rim Initiative with Vancouver Opera co-producing a concert series showcasing and diversifying talent from the multi-cultures in Canada. She has been recognized for her good work by the Korean Consulate in Canada, Elite Canadian Politicians, the Canadian National Press and the Vancouver Music Communities. Gina was a member of the Vancouver Opera OIS Touring Ensemble where she débuted the world premiere of the role Obasan in the newly commissioned opera based on Joy Kogawa’s book, Naomi’s Road. Performing the role 170 times, she received the Joe Boxer Memorial Award with a career development scholarship as most promising artist from Vancouver Opera. Gina completed her doctoral studies at l’Université de Montréal where she succeeded her studies in French and was recognized there with the Cedric Ferguson Award. She holds a Master’s degree from the New England Conservatory in Boston and a Bachelor’s degree from UBC. Alongside her studies, Gina has been recognized as a finalist for several local and national competitions and festivals. Gina shares her valuable time pursuing a high level of music outreach by way of teaching and performing. Gina was a Professor of Voice at the Crane School of Music at the State University of New York, Potsdam where she held a private studio, taught class voice and lectured on breathing practices, vocal health and nutrition. She is a breathing awareness specialist for singers and has also recently been trained as a CanFitPro Nutrition & Wellness Specialist continuing the learning’s of physical health and well-being to a singer’s performance. This summer Gina was seen performing with Vancouver Opera at Fusion Festival 2009, The World Police and Fire Games closing ceremonies and the Vancouver Canadians Baseball games. Gina will be performing as part of the VANOC 2010 Olympic celebrations next year.